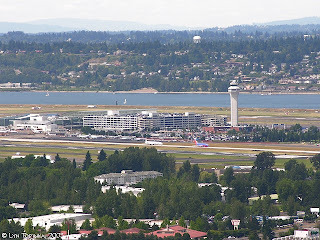 ﻿ Cabin Crew News: Disruptive passenger day at PDX? Yesterday, November 15, must have been disruptive passenger day at Portland International Airport (PDX). Police at PDX had to meet two separate flights due to disruptive passenger incidents. US Airways Flight 1473 had been en route to Las Vegas from Seattle when a couple of passengers reportedly attempted to join the 'mile high club' in a lavatory. The A320 aircraft diverted to Portland after the passengers argued with crew over the incident. "The people across the aisle from us were fooling around in their seats and they decided to go to the bathroom and fool around and they threatened the flight attendant," said passenger Jessica Smith. US Airways avoided confirming that the couple was fooling around, but did say they were arguing with the crew. A PDX spokesperson said the passengers were neither cited nor arrested, but they were left in Portland, Ore. The plane continued on to Vegas, where it was scheduled for a 7:39 p.m. landing. The second incident took place on United Airlines Flight 371 while it was en route from Chicago to Portland. News reports say that a passenger named James Terry was arrested by FBI agents and Port of Portland officers when the flight arrived at PDX. Agents said Terry was en route from Chicago to Portland on United Airlines flight 371 when flight attendants, believing he was intoxicated, denied him alcohol about an hour and a half into the flight. The flight attendants told officials that Terry became agitated and they moved him to the rear of the plane, where he tried to open the rear door and touch a female flight attendant. Agents said the flight crew used handcuffs to restrain Terry for the duration of the flight. Following his arrest at the airport, Mr. Terry was taken to Multnomah County Detention Center.